Vic Albert’s practice focuses on all aspects of trial law with particular experience in the areas of labor and employment trials, insurance defense bad faith trials and trucking defense trials. He has tried to a jury verdict over 60 cases in state and federal courts in Oklahoma. In the past fifteen years he has developed an employer-based practice advising employers in policy development, training, hiring and firing, and investigation of employee complaints. He represents employers in all aspects of federal and state litigation, as well as administrative investigations including OSHA, Department of Labor and EEOC matters. Mr. Albert is the national defense counsel for an emergency medical service company and assists it with matters in the five states in which it has operations. In the insurance bad faith litigation work that he does, Mr. Albert has had success at the summary judgment, offer of judgment and trial phases of matters for insurance clients. He also provides seminars and training for insurance companies on claims handling and bad faith issues. Mr. Albert also has extensive background and experience with interstate trucking cases, and trucking regulatory matters. He regularly advises interstate trucking companies on issues regarding company and driver compliance with safety and operation regulations. He is a regular feature columnist to the Daily Oklahoman on emerging employment law issues. 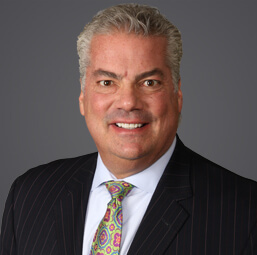 He speaks at employment and insurance bad faith seminars for clients and civic groups such as the OKS Metro Employers’ Council and Oklahoma Bar Association. January 4, 2018 - The Oklahoman - "FMLA lacks clear boundaries for employee contact during leave"
April 14, 2017 - The Oklahoman - "Q&A with Vic Albert"